Next to nothing has been written about the U-boat war in the Indian Ocean. This is the story of a forgotten campaign. The battle began in August 1943, when a German submarine arrived in the Malaysian harbor of Georgetown. In total, nearly forty U-boats were assigned to penetrate the Indian Ocean, serving alongside troops of the occupying Imperial Japanese forces. The Japanese allowed U-boats to use Malaysia as an operational station. From that base, they mixed with Japanese forces on a hitherto unseen scale: a move which spread the U-boat war throughout the vast Indian Ocean and into the Pacific. Success in this theater of war held a real chance to swing the tide of battle in North Africa in favor of Rommel, but the Germans essentially did too little too late. The joint action also gave U-boats the opportunity to penetrate the Pacific Ocean for the first time, attacking shipping off the Australian coast and hunting off New Zealand. Plans were even afoot for an assault on American supply lines. The cooperation' also brought into stark relief the fundamental differences of German and Japanese war aims. After the crews of Italian supply submarines joined the Germans and Japanese, relations between the fighting men of the three main Axis powers were often brutal and almost constantly turbulent. Stories of U-boats laden with gold and treasure stem almost exclusively from boats destined to and returning from Japanese-controlled Malaysia, laden with material exchanged between the two major partners of the Triple Axis Alliance. "Nearly forty German submarines, the vaunted U-boats, were sent to the Indian Ocean in the summer of 1943. Little is known and less has been written about this aspect of WWII. But if this Nazi venture into that war theatre had succeeded, it might have dramatically changed the course of Rommel's battle in North Africa, potentially leading to a German victory there. 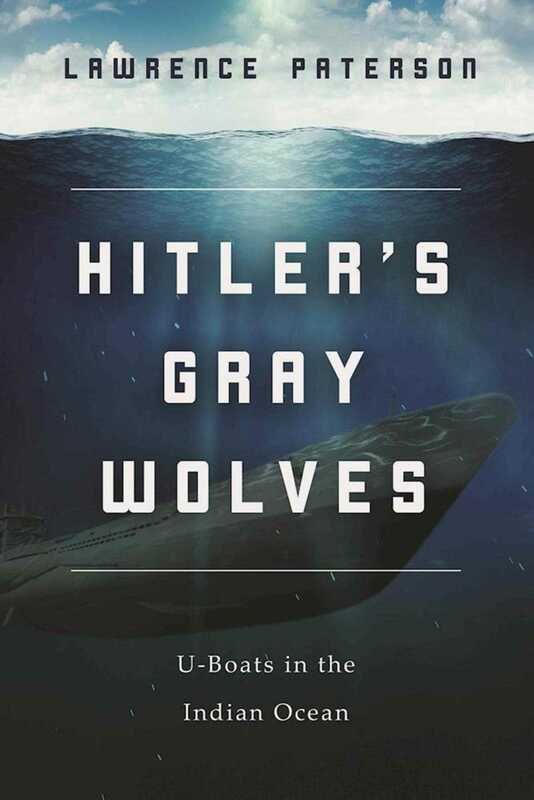 Hitler's Gray Wolves tells the story of that largely unknown campaign. "I do recommend this book for its comprehensiveness, readability,...the detailed character portraits of the major players and the implied tribute it pays to brave men who gave so much for almost nothing and, mostly, got scant thanks for it."